One of our most beloved designers, Twigs and Twine, has just recently released a new Valentine’s Day collection. Every X and O, every L O V E and every heart is individually hand stamped into these Indiana pendants. 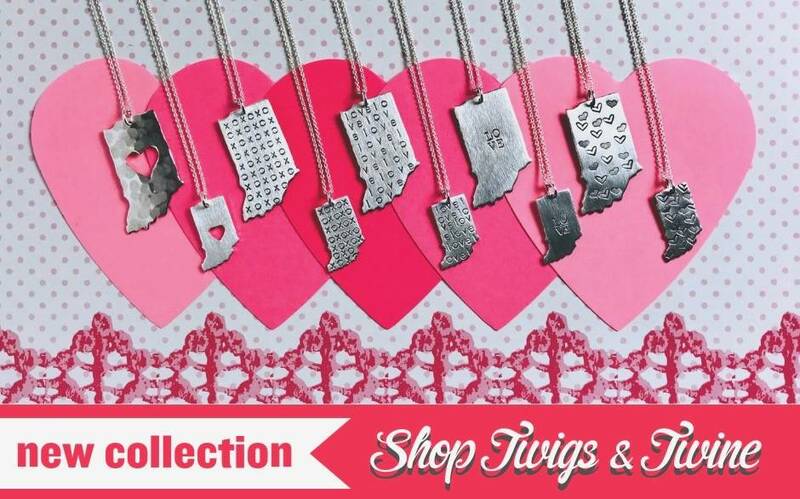 All of Twigs and Twine’s jewelry is locally made right here in Indiana and offers a unique and personal touch with each piece. Explore this new collection and many other pieces on our website!